This site has explored how the growing illegibility of memorials and cemeteries in urban landscapes is not necessarily a disgraceful process. I’ve argued elsewhere on this site that a city’s amnesia about its memorials is simply a condition of humans inhabiting a dynamic space. Further, I’ve said that the distance between us and our memorials has a clarifying effect on our sometimes muddled conversations about memory and meaning. New while conversations and blog posts can try to invigorate memorials by cloaking them in new contexts of meaning–this interest usually wanes. Other times we try and “recapture” monuments and bring them (back) into preexisting territories of meaning. This process of restoring a monument to a place of veneration was like the recovery of military standards in antiquity—leaders lamented the exile of these sacred totems and longed for the day when they would be triumphantly led back into the city. 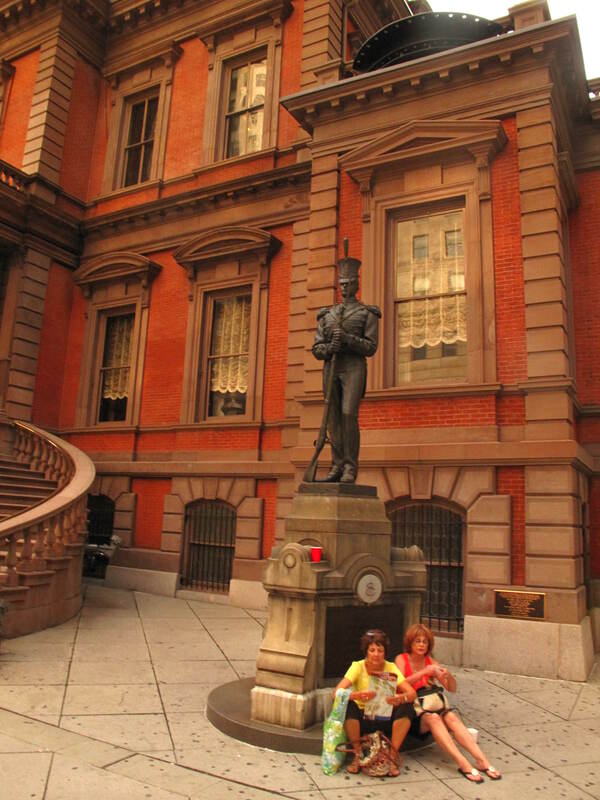 The sojourn of the Washington Grays Monument throughout the peripheral regions of the city to its final resting place at the foot of the Union League perfectly describes this process of reuniting war memorials with their territories of meaning. The Washington Grays Monument, memorializing the service of a Civil War artillery unit, has vacated several homes since it was first sited in 1872. 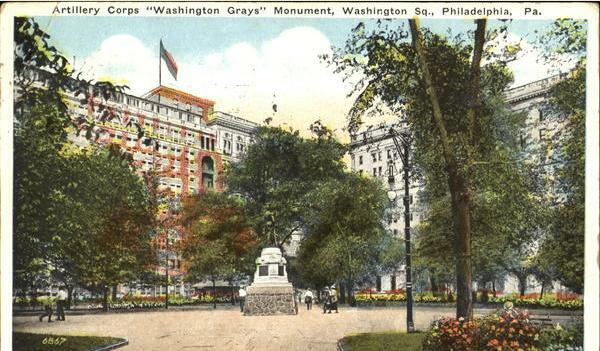 Though veterans of the Grays wanted space in West Fairmount Park, the marble monument was placed at the old farmer’s market near Broad and Girard Ave. and existed there until the laying of trolley tracks in 1898 forced its relocation to Washington Square. In some ways this new site held more significance as it was the site where the unit first mustered. The Grays were again dislodged by the wholesale transformation of Washington Square into a Revolutionary War shrine. From 1954 until 1991, when a solicitous Union League rescued it, the Grays Memorial sat on Lemon Hill. Unprotected on Lemon Hill, the unnamed Grays soldier suffered the neglect of an uninterested public. Bored kids probably assaulted the statue with stones, knocking off his bayonet and plume. But what happens to the once sacred precincts out which monuments pass? What happens to the arches and pedestals whose plaques have been pried off—where cavities now stand where solemn or rousing words once encouraged the passerby? 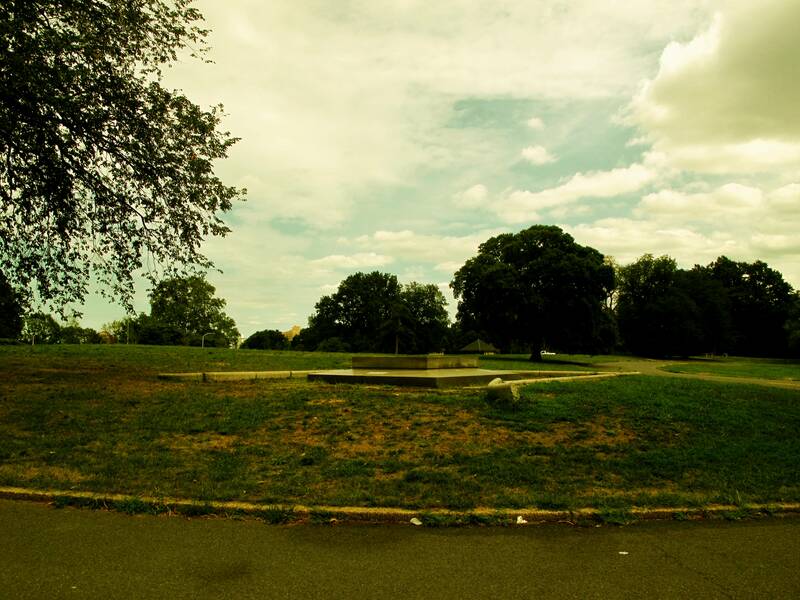 The pedestal stands on Lemon Hill, its monumental burnished marble glassy and still. There is something captivating about the dissonance between the pedestal’s formality and the yawning absence above and around it. The site poses an interesting opportunity for an artist to play with the value of public military sculpture—the didacticism inherent in these statements of heroism and virtue and the declining efficacy of this narrative. The organization Phillystake.org offers microgrants to artists looking to develop easily implementable art. According to their website, “Stake’s goal is to fund Philadelphia creative projects as directly as possible.” Check out their call for proposals, due September 10th, here. 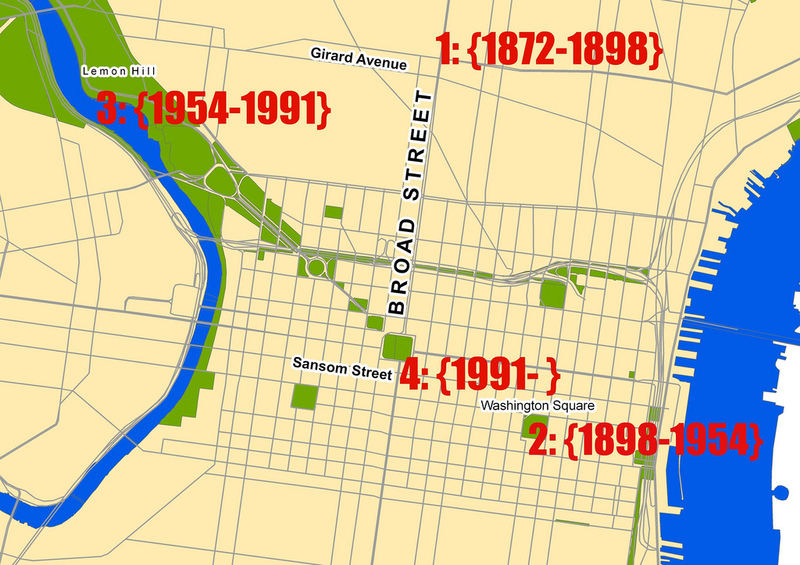 Philadelphia has a great legacy of interpreting its great art and in lamenting the loss of what was once there. It’s time to start thinking about this particular absence. From this pedestal someone may comment on our preoccupation with making our monuments and memorials always resonate. See the wikipedia article I created on the monument – James Wilson created the base. John Wilson created the soldier much later.